Rishikesh is the cradle of Hindu philosophy and learning, with many ashrams devoted to the Hindu faith and understanding. The numerous temples on the banks of the Ganga, the mythological tales bookshops with religious books and objects witness the Rishikesh´s importance of religion. 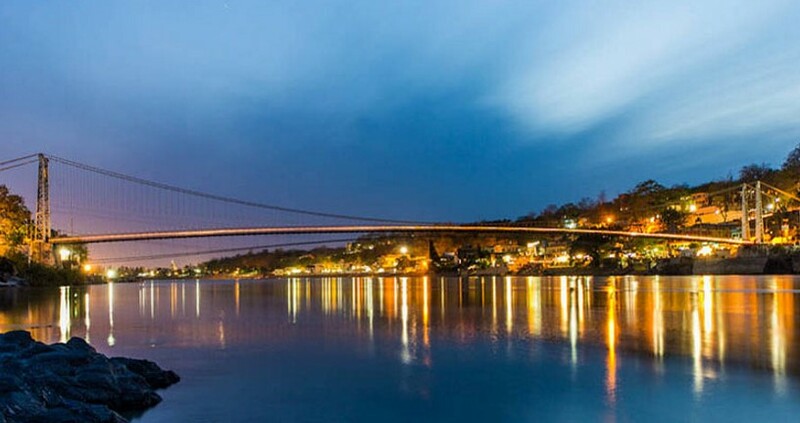 The second biggest river in India, Ganga river splits Rishikesh and its neighbouring villages, which are again connected via bridges Laksmanjhula and Ramjhula. It is also extremely peaceful area, with beautiful natural surroundings, which invites you to enjoy outdoor activities, as well as yoga and meditation. Bharat Mandir, dedicated to the Lord Maha Vishnu, is the oldest temple in Rishikesh. The temple, however, holds a significant number of images which are usually associated with the worship of Lord Shiva. Nilkanth Mahadev is the place where Lord Shiva drank the cosmic ocean poison which turned his throat blue. The temple is located on the top of the hill where the Shivratri and Shravan fairs occur. Raghunath Mandir is the most important place for religious ceremonies in Rishikesh. It is believed that the Ganga is joined here by the Yamuna and the Saraswati Rivers. Triveni Ghat is believed to be a meeting of three Indian rivers Ganga, Yamuna and Saraswati, where a sacred bathing Ghat occurs. Besides, it is also important because of the Aarti ceremony when people release flower-filled leaf boats with tiny oil lamps and let them float out on the river. It is a ceremony of worship, remembrance and hope. Sivanand Ashram is an ashram founded by Swami Sivanand. Today, it is the centre of the Divine life Society with branches in India and abroad, which includes studies of Vedanta and Yoga, a hospital and the production of herbal medicines. Omkaranand Ashram, located near Yoga Niketan, is also known as the Durga Mandir. The centre offers a school with classes in Sanskrit, Hindi, music, classical dance and English. Yoga Niketan, established in 1964, is one of the oldest Yoga ashrams in Rishikesh, located on the banks of river Ganga. It is devoted to meditation and spirituality.